November 2, 2013 November 2, 2013 Categories Super Fun Randomdestinations, Essie Button, passport, planning, Tag, tips, Travel, Wanderlust1 Comment on The Wanderlust Tag! This is a bit of a chatty post so if you’re into that kind of thing then read on! 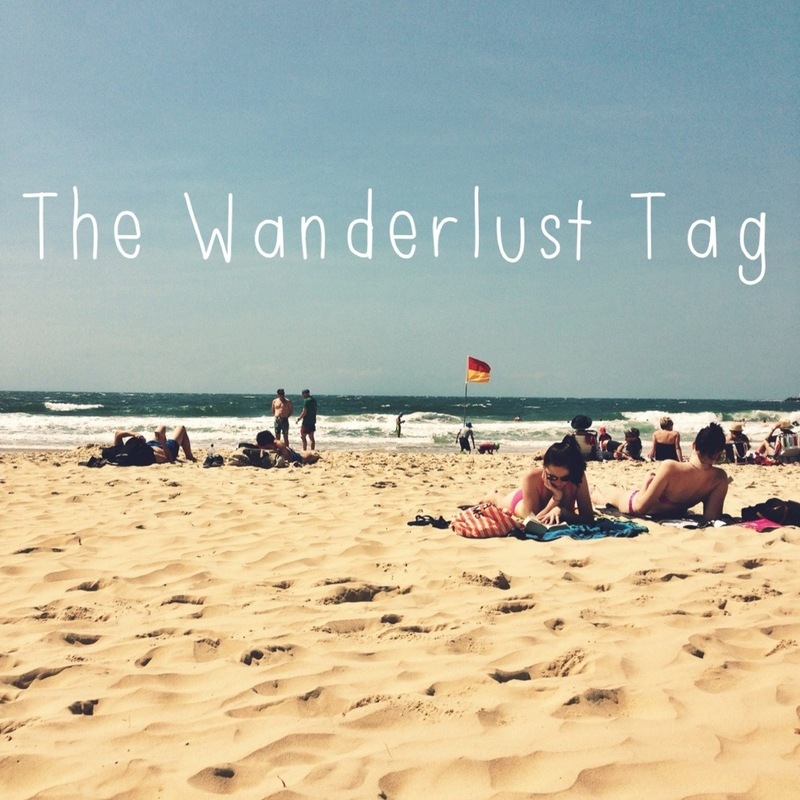 After seeing Essie Buttons’s video “The Wanderlust Tag” I thought I might have a crack at it too. 1. Your most treasured passport stamp. My most treasured passport stamp is my many stamps going in and out of Mauritius. Every time I look at those stamps I am overtaken by homesickness for the little island I called home for ten years. Also, the stamps have a dodo on them! I have tried countless times to memorise my passport number. I conjure up scenarios in my head where my life depends on the my ability to recite my passport number- far fetched I know, but I just can’t seem to do it. I love planes. My dad is an airline pilot and I grew up in and around airplanes. I love looking out the window and seeing the twinkling lights of a city at night get smaller and smaller. I used to be a nervous flyer to the extent where I would curl up in a ball during take off. Boy, would my palms sweat. Nowadays being older and wiser I still get a little clammy during take off and turbulence but I have learnt to relax and enjoy the experience. It is so great to disconnect and have a long stretch of time just to read a book and have a snooze. – Face wipes: Perfect for taking off your makeup when you get on the plane and perfect for a quick refresh at the end of the flight. Can double as a bath in dire travel circumstances. – A Pashmina: There is a reason why this one is on everyone’s list. They can be used for so many different purposes. On long flights they can be used as a blanket or a cosy wrap to keep you warm. When you spill your inflight meal down your shirt you can wrap that pashmina right around your neck and look cute as a button. – Lip balm: Rue the day somebody steps onto a plane without some lip balm or a Chapstick. I think if money was no concern then everybody would rather bunk up in a nice hotel with crisp white sheets and air conditioning. Granted hostels do enable more friendships and more conversations but climbing down a teensy tiny ladder off the top bunk bed in the middle of the night to go to the bathroom is no easy feat ( The twelve year old in me always shotguns the top bunk despite previous death-defying bunk experiences). 6. Are you a repeat visitor or do you like exploring new places? Both! I get very excited taking people to places that I have already been and am familiar with. I can’t wait to take Chris to Madagascar and Mauritius-the idea fills me with great excitement! But the thought of discovering somewhere new together is also very exciting. 7. Do you read up on the places you are going to visit or do you wing it? I am a chronic planner. For me the anticipation is almost as fun as the actual event. I plan and dream for months on end. I watch YouTube videos, read hundreds of blogposts and pour over guidebooks. I jot down countless lists and plan out itineraries. I am firm believer in planning as I believe it can make you an ethical and responsible traveller. Reading about the history of a place can really deepen your appreciation of the place too! I read so many travel blogs and websites but here are ones that I check on the daily! 9.Where would you recommend a friend to visit? Name a city and why? This is a hard one so I’m going to suggest Bangkok, Thailand as a less developed country and Geneva, Switzerland as a developed country. Bangkok gives me a thrill just thinking about it! Amazing shopping, friendly people, incredible food, sprawling markets and elephants walking down street. What more could you want?! Geneva in Switzerland is the very opposite and is a beautiful and clean city on a lake. If you’re there in summer then I highly suggest going for a swim in the lake. There are lots of hidden grassy parks along the edge of the lake and it is heaven to laze on the grass and drink wine in the afternoon sunshine. 10. You’re leaving tomorrow, money is no option. Where are you going? Where would you go if money was no option? Please leave us a comment below or send us an email at dirtypawsblog@gmail.com.